Explore the island, enjoy the history, architecture, and see interesting wildlife all while you zipp along on a quiet and easy electric bicycle. An experienced guide will take you on the back roads and hidden beaches showing you more variety than any other type of tour can offer. 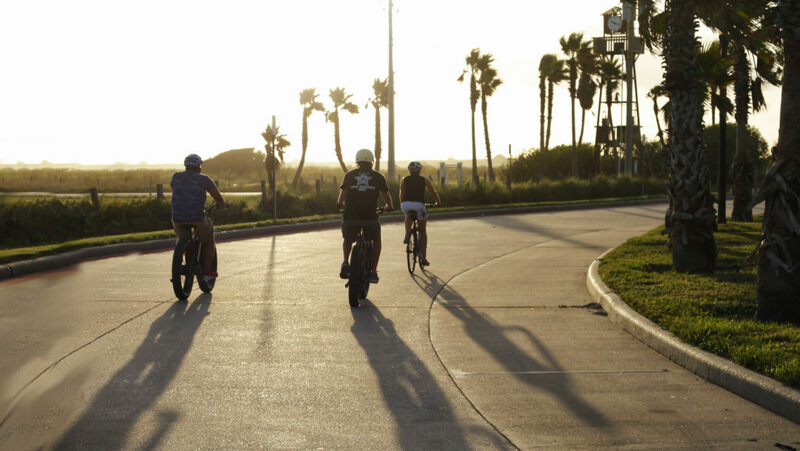 Explore Galveston Island at your own pace. See what you want to see when you want. Take yourself or a group of friends on a tour of Galveston’s history, curiosities and fare, all on your own schedule. See something interesting? Stop and explore. Spend all the time you want, your Zipp-E-Bike will be waiting to transport you effortlessly to your next adventure! Rent these fun electric bikes by the hour or by the day; Zipp-E-Bikes has a wide variety of electric bicycle models with a bike style to suit every body and every taste. Zipp E-Bikes is located in the heart of Galveston’s historic district. Only one block from the Strand and a short walk from the Galveston Cruise Ship terminal we are in the perfect location to begin and end an E-bike adventure. 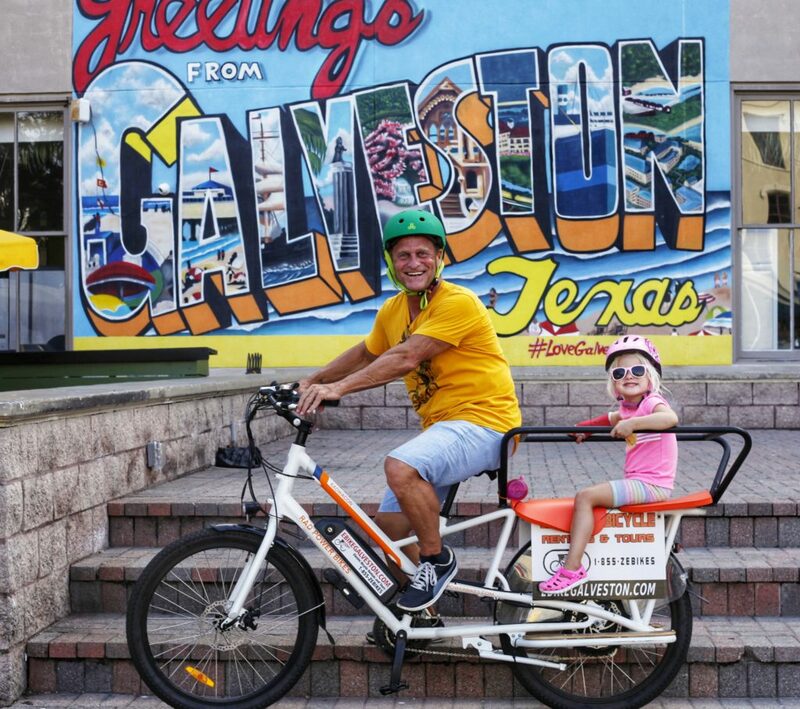 Our shop sits across from the Tremont Hotel at 2311 Mechanic st.
Ride an Electric Bicycle and See Galveston! Galveston has to offer…and now you can do it all without breaking a sweat! So, you only have a few hours before you get underway on a cruise? Rent a Zipp-E-Bikes electric bicycle! Zipp-E-Bikes electric bikes are the perfect way to see all the best parts of Galveston prior to your cruise departure. Don’t board that ship hot, sweaty and red-in-the-face…let your Zipp-E-Bikes electric bike do all the work! Book your electric bike rental today! !